Wide format printers (large format printers) are generally accepted to be any computer-controlled printing machines (printers) that support a maximum print roll width of between 18″ and 100″. Printing machines with capacities over 100″ wide are considered super wide or grand format. Wide format printers are used to print banners, posters, trade show graphics, wallpaper, murals, backlit film (duratrans), vehicle image wraps, electronic circuit schematics, architectural drawings, construction plans, backdrops for theatrical and media sets, and any other large format artwork or signage. Wide format printers usually employ some variant of inkjet or toner based technology to produce the printed image; and are more economical than other print methods such as screen printing for most short-run (low quantity) print projects, depending on print size, run length (quantity of prints per single original), and the type of substrate or print medium. Wide format printers are usually designed for printing onto a roll of print media that feeds incrementally during the print process, rather than onto individual sheets. 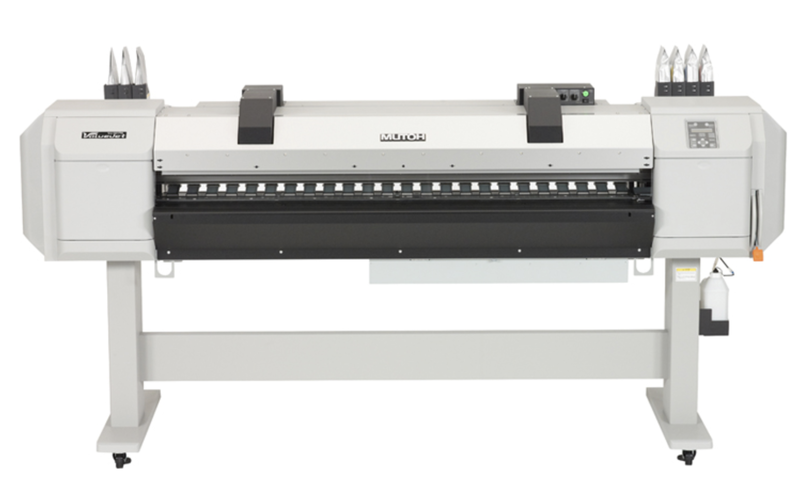 Imperial offers two wide format machines in the form of a 64″ Mutoh Value Jet LF Roll color Inkjet. It is ideal for printing packaging prototypes, trade show graphics, POP displays, indoor and outdoor signage, even vehicle wraps.